As I’ve written about before, I’ve had the great pleasure of co-directing a summer workshop, Scholarship in Sound & Image, with my colleague & friend Christian Keathley at Middlebury over the past few years. The three previous iterations of the workshop have been funded by the National Endowment for the Humanities, allowing us to bring scholars from around the world to Vermont to learn videographic criticism in an intensive two-week format. Alas our grants have run dry, but we have finally gotten approval to relaunch the workshop under a different structure: Middlebury’s Digital Liberal Arts Summer Institute (DLASI). We will be offering our workshop on videographic criticism as the first topic for the DLASI, running the workshop June 16-29, 2019. For two weeks, you can spend all of your hours in beautiful Vermont, learning how to make video essays and participating in a robust community of practice, fondly known as “videocamp,” led by me, Christian Keathley, and Catherine Grant. Since the workshop will not be funded by a grant, we have switched to a tuition-driven model – hopefully participants can get support from their home institutions to attend. See the website for all of the details on timing, cost, and participation – applications are due February 1. Contact me with any questions, and spread the word! As of today, I am officially on leave for the next academic year. I recognize what a privilege it is to get such a leave, as the tradition of the tenured academic position with regular leaves for focused research is becoming more rare and confined to elite institutions (and only some appointments within such institutions as well). Thankfully, Middlebury has mostly retained their commitment to traditional faculty positions, so I get to take a year to focus on the work I most want to pursue, without the demands of teaching and (more importantly to me) service to the institution. This means stepping away from being department chair, from being Director of our Digital Liberal Arts Initiative, and from being on countless ad hoc committees and working groups. While all of those facets of the job are rewarding, they are also exhausting and consuming in ways that make sustained progress on an ambitious research project near impossible. What do I mean by an audiovisual book? 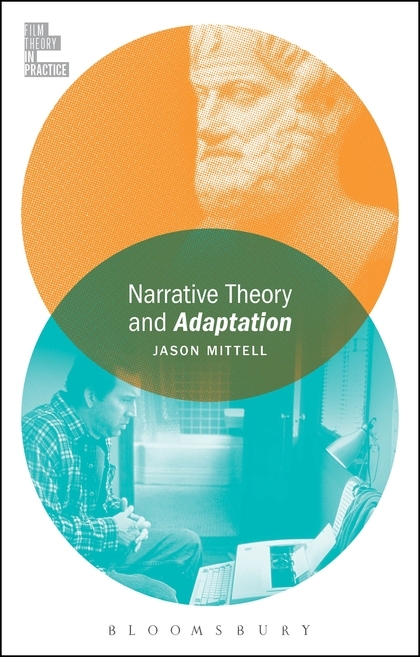 If a typical video essay functions similarly to a written essay or scholarly article, then this project will be analogous to a single-authored book focused on a single topic. Instead of a single seamless video, resembling a feature documentary, my project will be structured more as a compilation of shorter videos that can either be each watched independently, or consumed together to present a more overarching set of ideas and arguments. I’m not certain how it will eventually be published yet—I could imagine using Scalar to self-publish, or pursue publication through a digital open-access academic press like Lever Press. Regardless, I will likely be sharing some of the drafts of videos as I develop them throughout the next year. Why am I focusing on character and Breaking Bad? 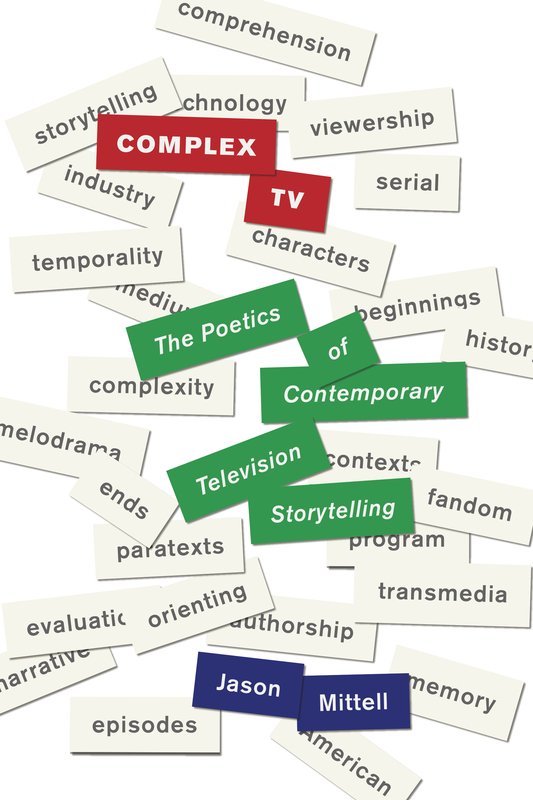 In writing Complex TV, I found that the chapter on Characters, which was already the longest chapter, was the topic about which I felt I still had more to say. Additionally, characterization is an area particularly well-suited for videographic criticism, where the details of performance, relationships, and representations can be conveyed directly video sound and image rather than lengthy description. As to why Breaking Bad, I wanted to focus on a single series/franchise and do a deep dive into the footage in a way that is typically very difficult without an extended period of immersive viewing and editing. Breaking Bad, and its spin-off Better Call Saul, are not only among my very favorite television programs (and thus spending a year wading in their sounds and images is appealing), but they raise a number of interesting and unique issues around character. I’ve already written about some of these facets in Complex TV, so I will be building upon that foundation in this project. As is my tendency, I hope to make much of my process public. In that spirit, I am sharing a draft of the first “chapter” from the audiovisual book here, produced last week during our workshop. This video, “What’s Walt Thinking? Mind Reading & Serialized Memory in Breaking Bad,” is an adaption and extension of a section in Complex TV, where I discuss these issues using a scene from the series. I wanted to see how I might explore these same ideas around the same scene using video and audio rather than lengthy description (as I did in my book). The process of developing the video took me in unexpected directions, but I’m happy with how it turned out. All feedback welcome as I will certainly revisit this video as I develop the whole project. I am also sharing the proposal and tentative chapter outline below. This was drafted to apply for grants (alas, no luck yet! ), so it reads as a combination of self-promotion, ambitious claims, and introductory contextualization. Hopefully it also conveys the ideas sufficiently. Again, I welcome feedback as I undertake this project, and plan to keep posting updates to the blog. In April, five of my students formed a panel at Middlebury’s Spring Student Symposium out of my Fall course Videographic Film & Media Studies, where they presented video essays that were created in the course. Alas, I was away at a conference during the symposium, so I could not see the panel, but reports were that the videos were all well-received (and I’ve heard from other students asking when I’ll be teaching the course again!). One great thing about videos is that they can be shared beyond live presentation, so I’ve curated them below, along with my most recent video essay (which I’ve neglected to post to this long-dormant blog). The videos were presented in alphabetical order by student name. First up was Will DiGravio and his video “How to Shoot a Film in One Room.” This video has an unusual history for a class assignment – Will posted it to Vimeo at the same time he submitted it as his final project in class. By the time I got to grading it, Film School Rejects had already blogged about it, meaning it had already gotten hundreds of views. This led Will to get offered an internship with FSR, where he has been writing for the past few months. Regardless of its impact on Will’s career, the video does one of the best things a video essay can do: convey ideas efficiently and convincingly with visuals where words alone would fall far short. Alyne Figueiredo Goncalves also published her video, “Gendered resistance and composition in the film Timbuktu,” albeit via the much slower process of academic publishing. Alyne submitted her video to Film Matters, the journal of undergraduate film criticism, back in the fall, and it just came out in May after a round of peer review and revisions. Her project emerged out of the Videographic Response Assignment, where students had to create a video that responded to an already published video essay; Alyne was responding to Channel Criswell’s “Composition in Storytelling,” building on his ideas but applying his Western focus to African cinema examples. The resulting video essay offers a compelling account of the politics of composition in Timbuktu, leveraging the film’s visual beauty for a rich videographic experience. Continuing with the theme of student videos breaking out of their classroom origin, Emma Hampsten’s “Women, Intimacy, and Sexual Violence in Hitchcock Films” has also been widely seen after she posted the final version in March. Emma combined her two majors of Film & Media Culture and Gender, Sexuality & Feminist Studies via the course on Hitchcock she was taking alongside my videographic class. The resulting combination is a masterful instance of the power of juxtaposition and patterns to convey critical analysis, even though the video contains none of Emma’s own words. The video has been widely shared over the past two months, and even featured in a class at Smith College, highlighting the power and possibilities of students posting their work publicly. The final two students have not published their videos beyond YouTube, and they have only gone live recently so they haven’t reached a broad audience (yet). Jack Ralph conveyed his expertise as a History major into a consideration of the modern Western in “How Modernity Affects the Western’s Morality in No Country for Old Men,” with a videographic comparison to The Good, The Bad, and The Ugly. Jack had done his videographic exercises for the class on No Country, so he knew the film well as a videographic source, which shows up well here as he mines the two films for visual and thematic resonances. The final video shown at the symposium was Ian Scura’s “The Ultimate Antagonist – A Video Essay about Pixar Movies.” Like Alyne, Ian’s video came out of the response assignment, but Ian chose to both extend the content and emulate the style of the video he responds to, a piece by Lessons from the Screenplay about antagonists focused on The Dark Knight. Ian does a great job laying out his ideas about how Pixar films treat antagonists differently than classic villains, packing a tremendous amount of material into six short minutes. These five videos were by no means the only strong projects emerging out of my fall course – they were just the five who were able to present at the symposium! I’ve collected much of the work that students did in the course, especially their videographic exercises, on a Vimeo channel, and will add other finalized projects to this post if my students send them my way. I’m excited to announce two upcoming opportunities in 2018 to explore videographic criticism as a method in film & media studies! The first will be a new type of session at the 2018 Society for Cinema & Media Studies Conference in Toronto: a seminar on March 18 called “Making Videographic Criticism: The Videographic Epigraph.” Kevin Ferguson & I will be convening the session, with participants signing up at the end of October via the SCMS website (members only, so join if you’d like to participate). Participants will be making “videographic epigraphs” beforehand, and we will dedicate the March meeting to watching and discussing their works, as well as considering how such videos function as scholarship and pedagogy. Participants should have basic video editing skills and access to software, but should not have much experience making videographic criticism. The second opportunity is the third iteration of “Scholarship in Sound and Image,” the NEH-funded two-week residential workshop that Chris Keathley and I have run at Middlebury in 2015 and 2017. This third version, running June 17-30, will be for participants who have a Ph.D. in Film & Media Studies or related disciplines – they can be faculty, post-docs, or otherwise engaged in academia, but they should no longer be in graduate school. Applications are due December 1, and instructions can be found on the workshop website. I’m happy to answer questions about either opportunity! While it’s tough to compare the two experiences, as both were uniquely fabulous, I think the net result of the 2017 workshop might be stronger overall, at least in terms of the work produced. Partly this was due to the broader circulation and understanding of videographic criticism over the last two years—even though few participants this year had made their own videographic work, all were more familiar with such work than people were in 2015. Partly it may have been due to the graduate students being more attuned to participating in a course and producing work on deadlines than the 2015 faculty were. But I think one key shift was the revised sequence and assignments that my colleague Chris Keathley & I presented over the first week, and the greater structure throughout the second week leading to excellent final projects. I want to say a few words about how I will approach politics in this course. As you all know, we have a new president occupying the White House, and his rise is directly connected to television – both in the typical ways that television news and advertising play key roles in elections, and the atypical way that his fame and reputation were largely built by his role as star and producer of The Apprentice, a reality TV show. Normally, this course engages with politics by providing the tools and contexts for you to analyze how the media impacts politics, and encouraging you to draw your own conclusions and political positions in light of that education. While I never attempt to hide my own political beliefs – a syllabus that foregrounds feminism, critical analysis of racial representations, and critiques of consumer capitalism is not apolitical! – students are never expected to agree with my beliefs to succeed in the course, as exams and essay will judge how you think and analyze, not what you think or believe. However, the current administration and its engagement with the media is not normal. For a telling instance, on the very first day of Trump’s presidency, his press secretary Sean Spicer conducted a so-called “press conference” (with no questions permitted, it was really more of a statement or decree) in which he scolded reporters for (allegedly) misrepresenting the crowd size for Trump’s inauguration, while making false claims with no evidence that “this was the largest audience to ever witness an inauguration — period — both in person and around the globe.” The next morning, Trump’s political advisor and former campaign manager Kellyanne Conway said that Spicer was offering “alternative facts” to counter the media’s claims. The “fact” that Spicer’s claims were patently untrue, unsubstantiated, and easily disproved by visual evidence was dismissed by Conway as just a difference of opinion. This skirmish about the trivial matter of crowd size is typical of how the Trump administration treats and uses the press. In my role as an educator and your role as students, treating facts as opinions or beliefs to be debated is unacceptable, whether they are trivial issues of crowd size or substantive matters of policy and practice. The fact that this administration actively works to undermine facts, to dispute science, to undercut history, and to normalize the distrust of knowledge, runs directly counter to the educational mission of our course and our institution. In this class, we will try to understand how television factors into Trump’s election and presidency, as I have done for the two previous administrations, and that assessment will not be sympathetic to the current president—you are free to disagree with my opinions on these topics. But no matter one’s political positions, we cannot dismiss or ignore factual evidence as a matter of political disagreement. Thus on day one, I would like to make my position quite clear: attempts to undermine knowledge, evidence, and facts is antithetical to being both a student enrolled in a college class, and an educated citizen in a democracy. That is not a partisan political opinion, but a position that is simply not up for debate in a classroom. If that assertion makes you uncomfortable, you might want to sign up for a different course, and perhaps rethink your relationship to education itself. Update: I realize I forgot to include one important contextualizing factor, especially for other educators looking at this statement as an example or model: I am a straight, white male tenured full professor at a private institution that has very few students who openly supported Trump. Thus I am as insulated from repercussions as possible – most fellow educators are far less privileged in their situations and contexts, and thus part of the reason why I wanted to make such a statement public is that I am least at risk from doing so. As mentioned last month, we’ve been fortunate enough to get another NEH grant to conduct two more videographic criticism workshops at Middlebury, in June 2017 and June 2018. We are now accepting applications for the 2017 workshop, which is open to graduate students in Film & Media Studies or related disciplines. Please spread the word to qualified and interested graduate students! I also just returned from Miami University of Ohio, where I did a two-day workshop on videographic criticism. Chris Keathley and I developed a highly-compressed excerpt from our summer workshop aimed at faculty new to videographic criticism, and at Miami, I offered it to a dozen faculty. I wasn’t exactly sure how such an approach would work over a two-day span, but I think it was highly successful (and the participants seemed to agree!). So we’ve decided to publicly “offer” ourselves as available to visit campuses (or a consortium of nearby institutions) to do the compressed two-day version for faculty and/or grad students interested in a crash course in videographic criticism. Anybody who is interested, let me know! 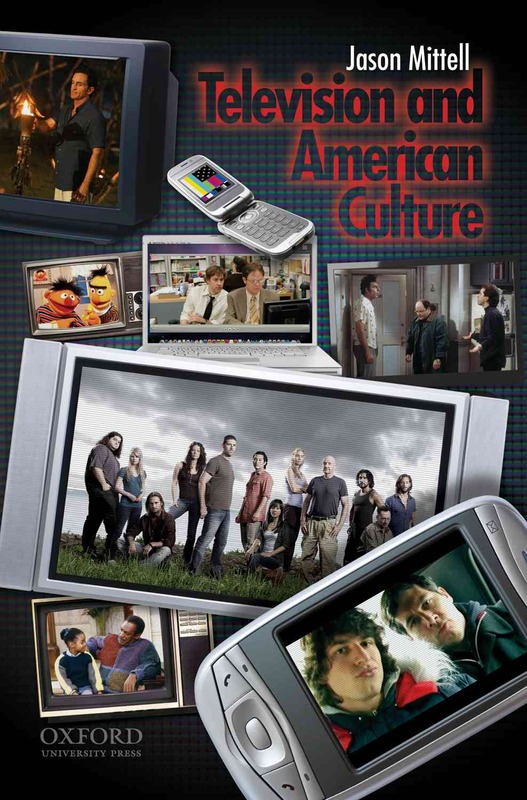 In my last post, I closed the book on my spring Television & American Culture course, reflecting on the general success of using specifications grading for the course. As I launch into a new semester, I’m using the same approach on a different course, Theories of Popular Culture (the whole syllabus is available at the link), trying to make some adjustments to address both the very different set of educational goals and contexts, and some of the lessons learned from my first go round. Theories of Popular Culture is an upper-level seminar (around 15 students once the dust clears), fulfilling both the theory requirement for the Film & Media Culture department and Middlebury’s College Writing (CW) requirement (all students must take an introductory writing course as part of their first year seminar, and an advanced CW course like this, ideally within their major). Thus the bar is set much higher than last semester’s intro course, and the expectations are that students do both more advanced quality work and higher quantity of writing & revision. This is the eighth time I’ve taught this course, and I think both the content and assignments work very well, so I was not looking to do a major overhaul of either. Rather, I was trying to implement this grading system to increase student flexibility and transparency, focus on learning over grades, and avoid the stresses and negative patterns tied to traditional grading. I admit I’m not entirely happy with this breakdown, because I believe my expectations for successful writing and revision per the CW program are higher than the expectations for the C level should be. Additionally, the need to produce a significant amount of writing and revision for CW credit (typically 25+ pages) takes away one of the most successful aspects of my spring course: making the final essay optional. The best solution I came up with would be to disentangle the CW credit from the course grade: students would earn what they earn in terms of a grade, and those who met the CW expectations would receive that credential separately (and those who didn’t, wouldn’t). However, that’s not how things work here: the CW marker is tagged to a course, not an outcome, so anyone who passes a CW course fulfills the requirement on their transcript. Needless to say, reworking this system is not something that an individual faculty can implement on an ad-hoc basis, so I’m stuck with keeping the CW goals as part of the course’s ground floor requirements, and working with students to make sure they fulfill them. One key difference is that instead of different versions of an assignment (Basic vs. Advanced prompts for my TV exams), I’m implementing differential evaluation for the same prompt, allowing for Satisfactory and Sophisticated as dual passing marks. Each assignment will have some additional specifications to achieve Sophisticated, so it does function somewhat as an Advanced version, but it is really more about execution than taking on different questions. In my mind, a Sophisticated essay will demonstrate upper level learning around originality and synthesis of ideas, as well as using more effective rhetoric and prose style to convey ideas. The pitfall is avoiding treating this as a backhand way of giving A vs. B grades under different names, but I will strive to emphasize the specifications rather than more subjective evaluation, especially in giving feedback for potential revisions. The other major change involves class participation. In my TV class, I was a bit dismayed that a few students who got A or A– never contributed much in class discussions; although I technically said that attendance would measure participation, there was no real way to implement that. So given the smaller size and more theoretical/analytical bent of this course, I’ve created a tracking system for participation: at the end of each class, I will mark each student that I thought demonstrated active engagement and made productive contributions that day. With a 15 person class, that seems manageable, although we will see if I can be consistent in my tracking. Unlike last semester, the first revision is not “free,” and each revision will cost a token. If a student uses all three initial tokens and needs to use more for revisions, they can be “purchased” at the cost of one gradation of the final letter grade—thus if a student achieves the expectations for the B bundle, but must revise an essay multiple times and uses four total tokens, that student would receive a B– for the course. While this may be a bit harsh for some, it will hopefully discourage procrastination or manipulation of the expectations, but still provide some agency and control for students and reinforce the pedagogical values of transparency and flexibility that students really valued last spring. Like before, this is an experiment. My primary goal is to encourage students to focus on learning rather than grades, and take more ownership of their education. But I also recognize that this is a very challenging course, both with the highly theoretical content and the quantity of writing, so I expect there will be some bumps along the way. I will hopefully offer updates as we go. I’ve had a lingering “to be continued” here for a few months, as I promised to report on my experiment with specifications grading from the spring, beyond my first mid-semester update. The delay was first due to the need to wait to process a post-semester survey that we did from my class and another colleague who used a similar approach to grading. Once we got those results, my head was already deep into summer mode of writing deadlines and family fun. But now on the eve of my fall semester starting, I’m ready to return to the classroom and the topic of grading. In short, all evidence suggests that my experiment last semester was a success, and I’ll be using a similar approach to grading this fall in my course, Theories of Popular Culture. I’ll detail some of my revisions to the approach as customized for that course – a writing-intensive upper-level seminar of 15, rather than an intro-level survey of 30+ students – in another post. But here I’d like to explore how my Television and American Culture course turned out, and offer some reflections on the benefits and limitations of specifications grading. As of today, my institution Middlebury College has officially embraced open access as the default way that faculty share our research. This has been a long haul for me and my colleagues. I remember first having this conversation in 2008 with Mike Roy, who had just arrived at Middlebury as the new Dean for Library and Information Services. I was on the Faculty Library Advisory Committee, and Mike and I met to discuss what initiatives we each hoped would move forward. He introduced me to the idea of an institutional open access policy, and wondered if other faculty would buy into it. I expressed major skepticism, thinking there was a lack of both awareness and enthusiasm to go down that path for any but a small sliver of faculty. He said he’d take a slow approach, raising awareness and building momentum until we were ready to take action. In the end, most people understood the policy (which is rather complicated in its legal maneuvers) and certainly grasped its intent. One thing I found interesting is how various OA supporters latched onto different core reasons to embrace the policy. For Mike, given his position running our library, he was motivated both by the mission of the library to disseminate knowledge broadly and how the huge costs of the current subscription model for closed scholarly access eat up library budgets for little gain. For Svea, who studies public health in Africa and Asia, she wants valuable research like hers to be available to the communities she studies that typically lack the resources to subscribe to pay journals. Personally, I am most motivated by outrage over the ways that publishers take free faculty labor as writers, editors, and reviewers, and turn around and charge our institutions to access the fruits of our labor. Over the course of our campus discussions, we heard many other good reasons to support such a policy, while the primary reasons against the policy boiled down to a general suspicion of such changes and any unintended consequences. Needless to say, I am thrilled that the vast majority of my colleagues sided with us, and tomorrow we get to start the hard work of both building the technical infrastructure to make our repository functional, and the cultural work of getting faculty to implement our policy by making the open sharing of our research a new default. Kudos to my colleagues for embracing the policy, and especially to Mike, Svea, and my fellow committee members for their leadership and work, enabling me to type the rarest of all phrases: I found my work on this college committee enjoyable, productive, and fully worth my time! I’m excited to announce the publication of my latest book, The Videographic Essay: Criticism in Sound and Image. It’s a gratifying publication in many ways. It is the first project that I have co-authored with my good friend and colleague Christian Keathley, and as such, it was quite fun to put together. It is based on the NEH-funded workshop on videographic criticism that we ran at Middlebury in June 2015, so it both brings back many memories from those fabulous two weeks, and shares much of what we did with a larger audience, including my overview of fair use for videographic practice. It also features the writing of three other friends who collaborated on the workshop with us, Catherine Grant, Eric Faden, and Kevin B. Lee. I’m also quite happy with its mode of publication. 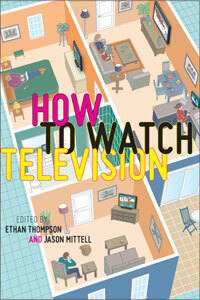 The book is published by caboose books, a small independent press based in Montreal that strives to publish works in film studies that go against most trends in academic publishing by being affordable and accessible. Our book is part of a series, Kino-Agora, that features short books that straddle the boundary between long essay and short book—ours is only 64 pages. But it is priced accordingly: you can buy the book directly from caboose for $5 plus shipping, or from Amazon for $8 (free shipping) or as a $4 Kindle download. I also created a companion site on Scalar, featuring many examples of videographic exercises created by the participants in our workshop. The open access Scalar site should provide a good sampling of the type of work produced at the workshop, and also features numerous videos produced by participants over the past year. We hope it will be a useful resource for both teaching this type of work and for inspiring people to take the videographic plunge! We hope the low price will be tempting enough to encourage readers to explore this new mode of critical engagement. I can certainly say that my own adventures in video making has been incredibly rewarding and has expanded my critical horizons – I hope this book will help others join in! While the video stands on its own, I encourage readers to visit the journal’s version for contextualizing material, including my author’s statement and two open peer reviews that provide good insights into the project. I hope it prompts a conversation, either here or at [in]Transition! Last month I shared my plan to use specifications grading in my Television and American Culture course this spring semester. I just finished marking the first exam, which provides my first real opportunity to reflect on how the experiment is going. (Make sure to read that previous post for the specifics of the approach and course design.) Below I walk through the first exam, what my students did, and reflect what this system has revealed to me about my teaching and students’ learning. The course has 31 students enrolled, and all seem to be on board with the grading approach. I asked students to sign a short form to affirm their understanding with the grading system, and asked them to indicate (with no binding commitment) which “bundle” of assignments, and thus which final grade, they planned on working toward in the course. 85% of the students said they planned on working toward an A, with the remaining 15% indicating the B bundle. This wasn’t much of a surprise, given that the norm at Middlebury is toward receiving A grades – if anything, the surprise was that as many as 5 students said they were striving toward “only” a B in the course. It will be interesting to track how this initial plan matches the work that students end up doing, as I expect there will be some who started aiming at an A who choose to do less work as the semester proceeds, and perhaps a few of who revise their aim higher.